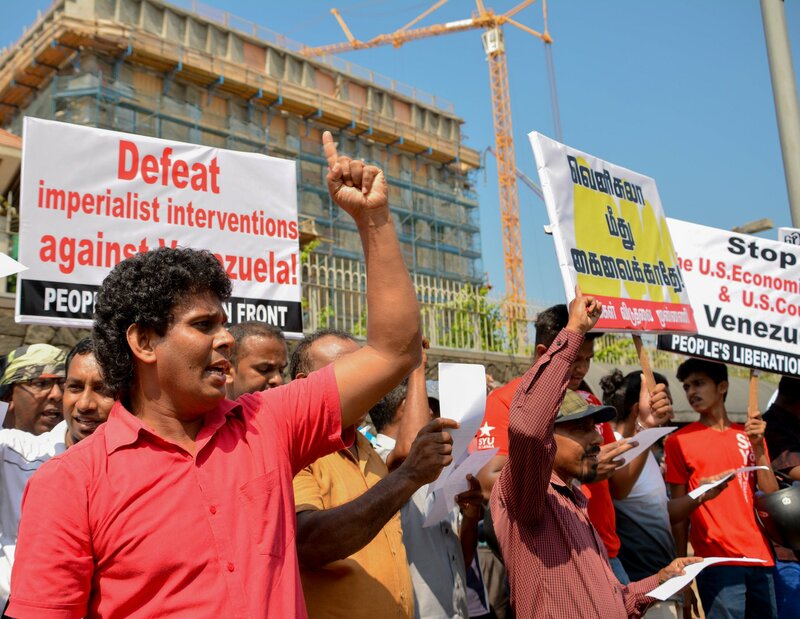 The JVP held an agitation opposite US Embassy in Sri Lanka today (8th) concurrent with the programs by progressive and left parties and organizations being held throughout the island to protest against the imperialist intervention in the internal affairs of Venezuela. 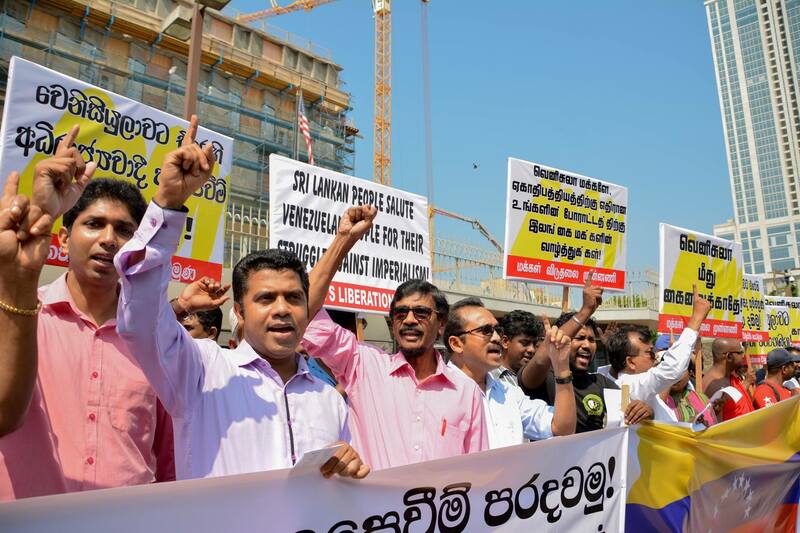 During the agitation, a letter was handed over to the Embassy. 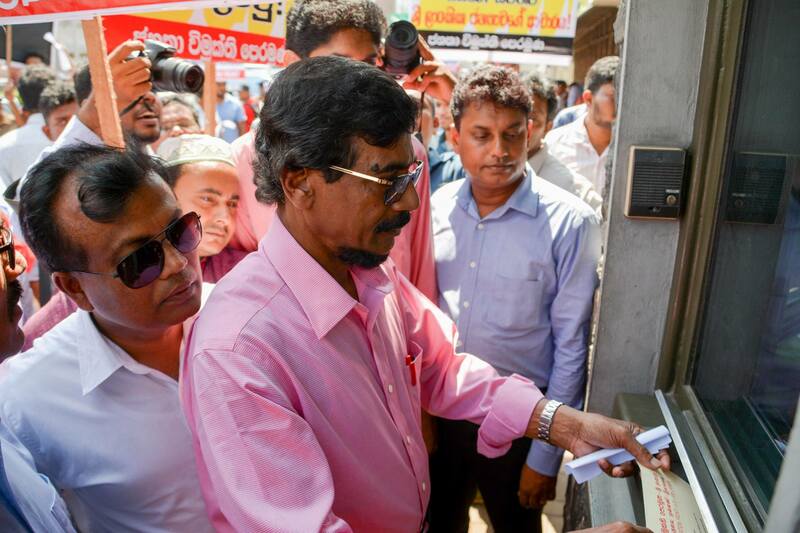 The General Secretary of the JVP Tilvin Silva, its National Organizer Bimal Rathnayaka MP, Members of the Central Committee Dr Nalinda Jayatissa MP, Wasantha Samarasinghe, the National Organizer of the Socialist Youth Union (SYU) Rangana Devapriya, the Member of the Department of Foreign Relations of SYU Anjana Amarasinghe were among the large crowd that participated. 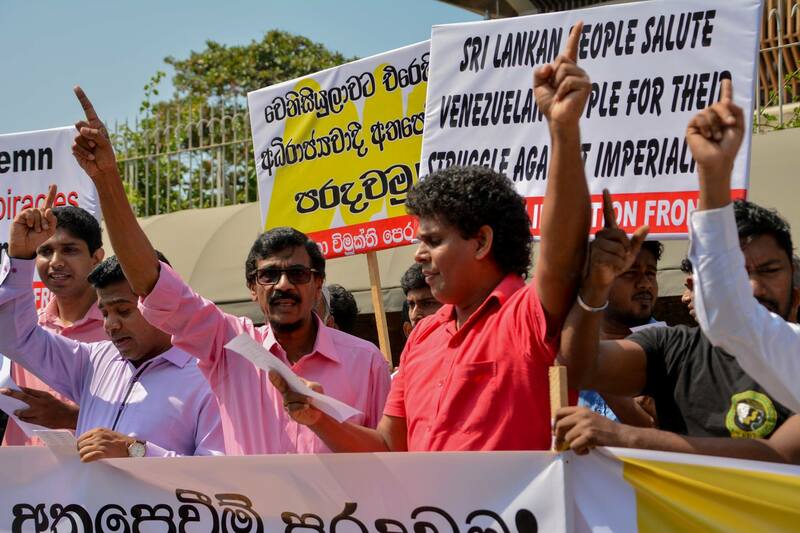 We, the JVP, as the political party representing the progressive masses including intellectuals, professionals and artists in Sri Lanka, write this letter to raise our collective voice in condemnation of the arbitrary act by the US administration of interfering in the internal affairs of Venezuela. 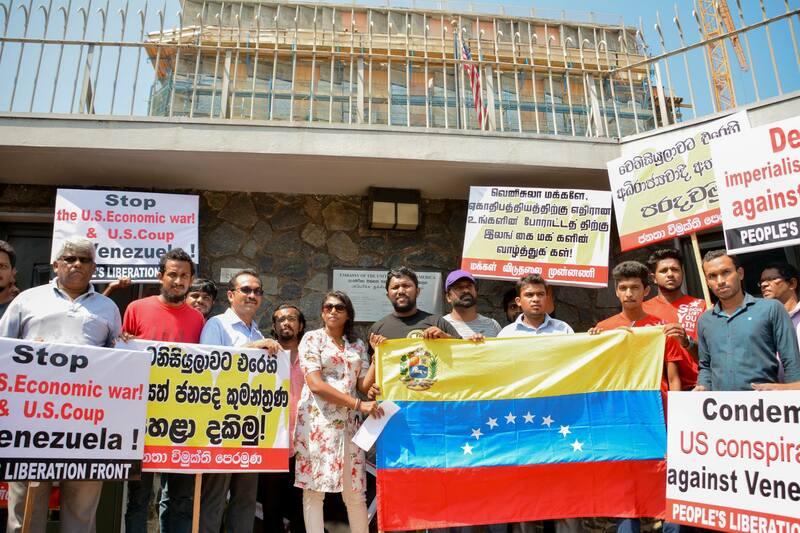 We strongly condemn the act of attempting to topple the legally elected President in Venezuela and the attempt to arbitrarily install a puppet instead. We feel that the goal of the international community should be to help Venezuela without destructive meddling from outside its borders. 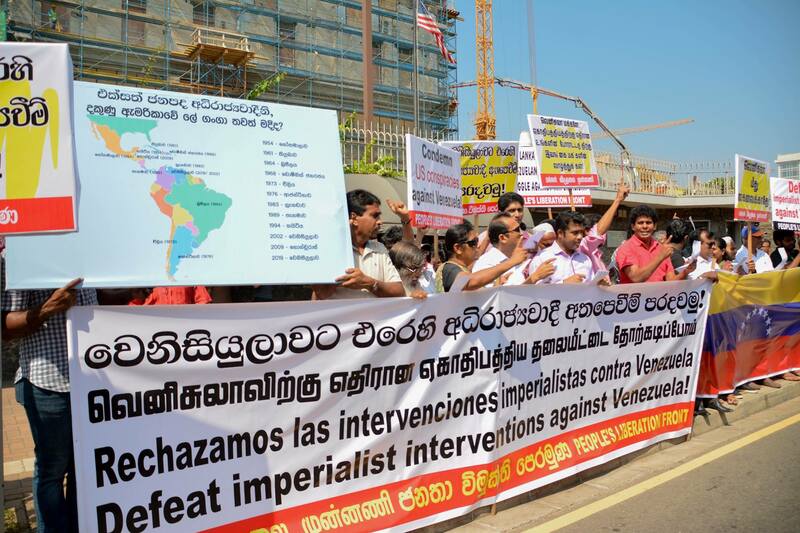 Let Venezuelans resolve their own domestic political issues without foreign forces meddling in their internal affairs. 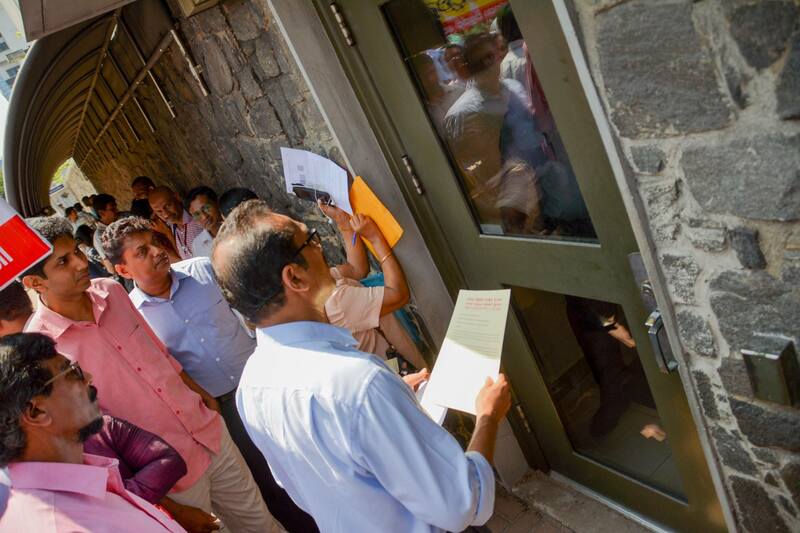 It should be mentioned here that millions of people, including US security personnel and citizens have paid with their valuable lives within the last decades due to the interventionist policy of various US administrations including the present one. 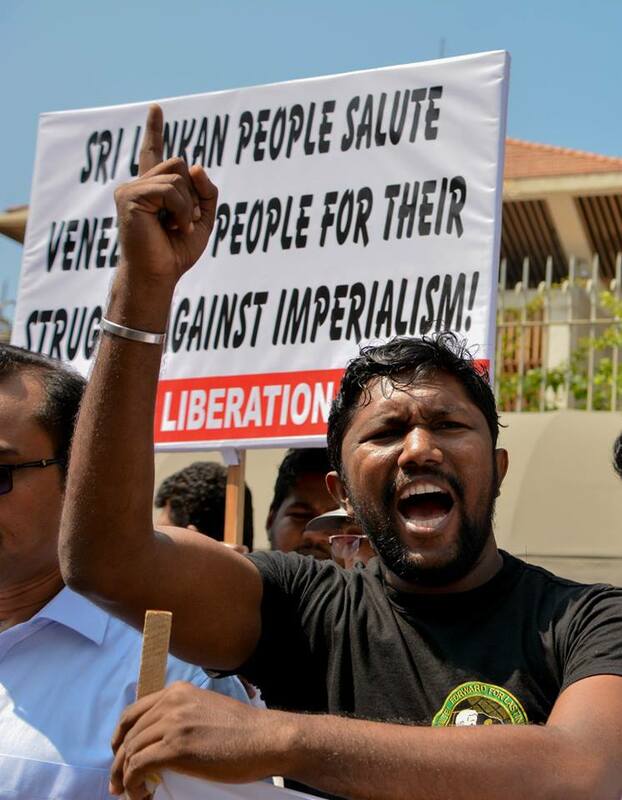 Dozens of countries have been driven to complete destruction due to the invasions, coups and various undemocratic actions lead by US governments. Guatemala, Cuba, Vietnam, Brazil, Argentina, Honduras, Haiti, Yugoslavia, Iraq, Afghanistan, Syria etc. can be mentioned here for your retrospection. We believe no other invader or a colonizer in human history had created rivers of blood and sorrow to the people than the rivers of blood your administrations have created all over the world after the WW2. Enough is enough. This world and the people of Venezuela need Peace. It is worthwhile to note what former US President Jimmy Carter had stated. He had said ‘of the 92 elections that they had monitored, the election process in Venezuela was the best in the world’. Venezuela’s voting technology is said to contain several security mechanisms for audits and verification of results, which have been accredited by national and international observers including the Carter Center. We would also like to remind that the declaration of Juan Guaido as the interim president and backed by the USA has been rejected by the Supreme Tribunal of Justice in Venezuela. As such, we feel that the claim by US government that the presidential election was rigged and corrupt has no basis. 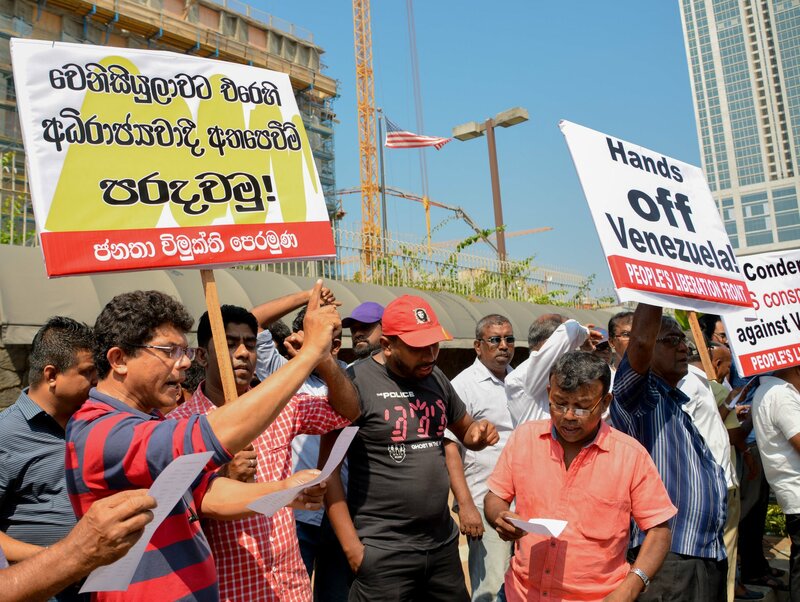 We call upon the US administration to refrain from interfering in the internal affairs of Venezuela but to let Venezuelans solve their own issues. 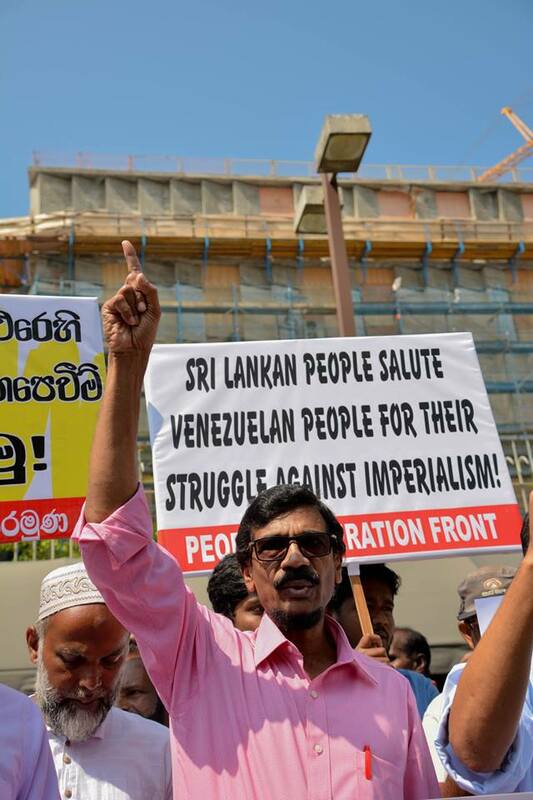 The JVP, as the principal political party of the progressive and left-oriented people in Sri Lanka, while advocating that the international community should help Venezuela to solve its economic and social problems, totally back the progressive people’s struggle against foreign intervention and expresses its solidarity with the heroic resistance of the Venezuelan people to protect the sovereignty of their Fatherland. 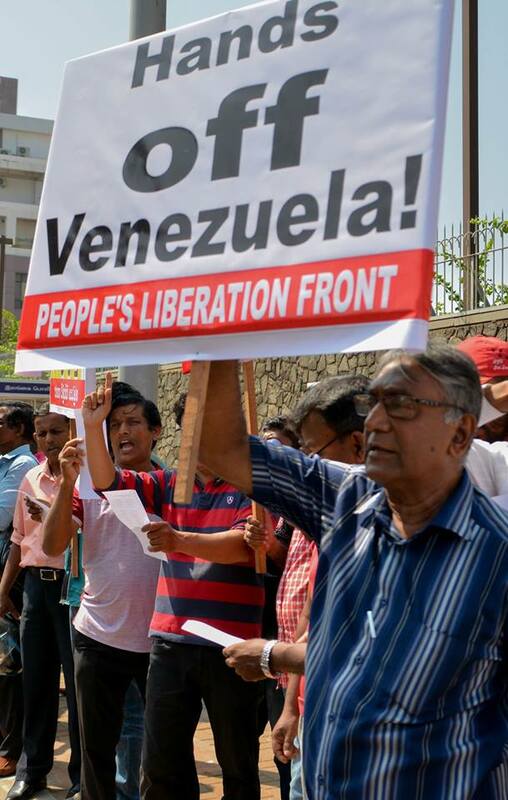 Long live sovereignty of Venezuela!